I've been meaning to put this recipe up for a while, so it may seem out of place mid-October - but with Christmas fast approaching I'm sure I'll be making lots of these again as great finger-food canapés! This is a classic must-have recipe, as everybody loves chicken satay. They're dead easy to make - I'm sure you'll spot the cheats! Top tip: For those that prefer a light spice leave out the chilli, as the ginger gives enough kick! 1. Slice the breasts into 8 smaller fillets. Insert a wooden skewer lengthways through each fillet. 2. Roll each fillet in the thai spices. Place under a pre-heated grill at a medium heat, turning occasionally until cooked through and golden brown. 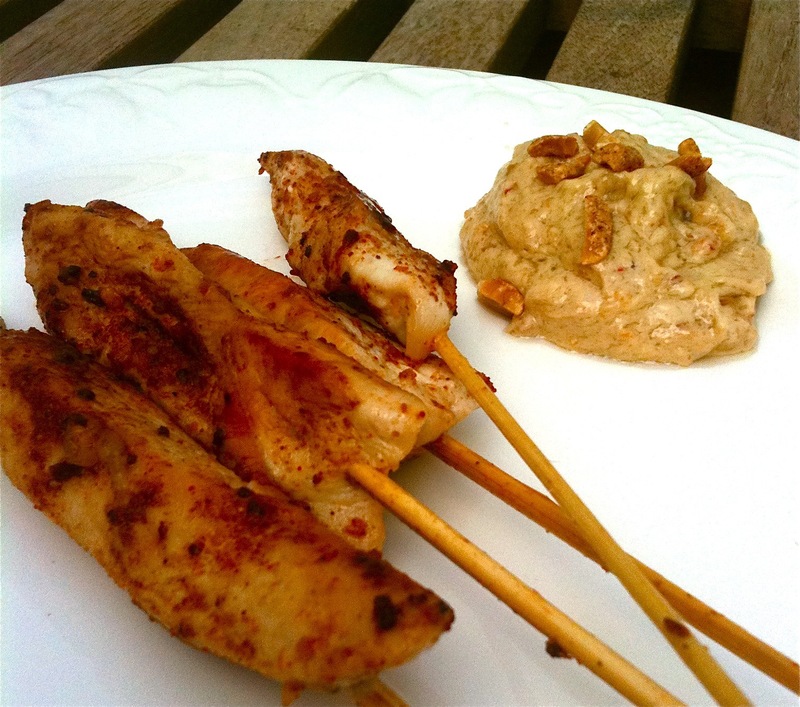 Leave the skewers sticking out of the grill, or they will burn! 3. Meanwhile make the satay. In a bowl, mix together the peanut butter and coconut milk. Grate in the ginger, and add with the chilli flakes to the mixture. 4. Using a pestle and mortar (or the end of a rolling pin), roughly crush the peanuts. Mix all but a few into the satay. Use the rest to sprinkle on top when serving. Serve warm as a starter, or cold as canapés. I love this as an accompaniment as it's very tasty, fresh and healthy. You can eat it on it's own as a summer salad, or as a side dish with a warm cut of meat. It's a great alternative to a rich sauce! 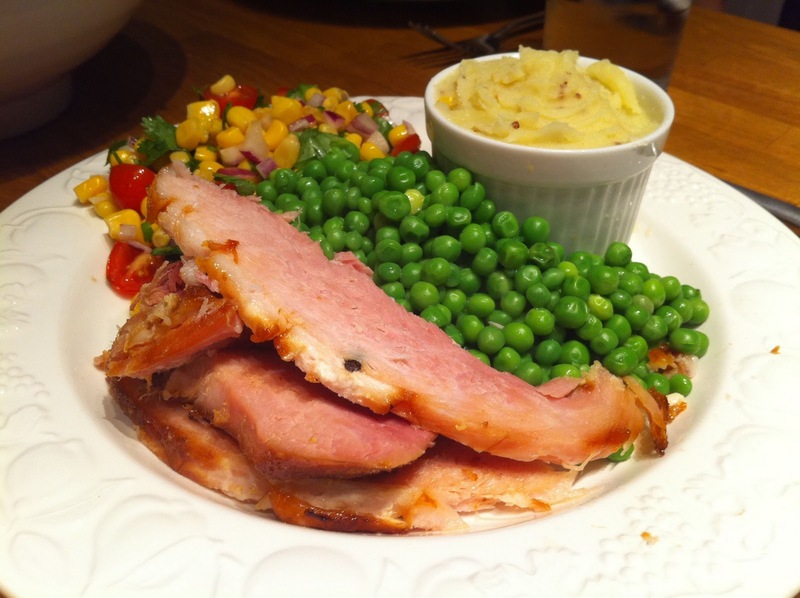 Top tip: An optional extra is adding in some diced pineapple, great if serving with ham. 1. Finely dice the red onion into small cubes. Place in a salad bowl. 2. Quarter the tomatoes. Roughly chop the coriander. Add to the bowl. 3. Drain the sweetcorn, and mix in with the onion, tomatoes and coriander. 4. Squeeze the juice of half the lime, and toss until thoroughly mixed. Try this with my Sherry & Honey Glazed Roast Ham and Cheddar & Mustard Mash. Now winter has finally arrived it's time to crack out the good old winter warmer recipes. It's getting too cold to trek to the shops, so this one was created as an excuse to use up what was left in the fridge - some chicken, a butternut squash, a leek and a tin of red peppers. It's really homely and filling. You can spice it up with chilli oil if you need more of a kick! Top tip: I've cheated with a tin of red peppers, but the fresher the better. 1. Slice the chicken into thin strips and season with the mace. Place in a pan with a little oil and cook until white all over (it does not matter if it does not cook through at this point). 2. Roughly chop the onion. Slice the mushrooms and leek and then slice the peppers into strips. 3. Melt the butter in a large casserole pan, and add the onion with the crushed garlic. Heat until the onion has softened. Add the leek and mushrooms and cook for a further minute. Whilst stirring add the flour and cook for another minute. 4. Lower the heat and add the wine, stir in and cook for 1 minute, then add the chicken stock, chicken, peppers, thyme, hot paprika and chilli flakes. 5. Allow to simmer and reduce for 30 minutes. Meanwhile peel, deseed and dice the butternut squash. After the 30 minutes add the butternut squash to the casserole dish. 6. Allow to simmer until the butternut squash is cooked through. Meanwhile slice the chorizo into ½ cm slices, and fry in a dry pan to release the oils and until darker in colour. 7. Before serving squeeze in the lemon juice and add the parsley and stir through. 8. Scatter the chorizo around the plate or serve on top of the casserole. Serve with baby new potatoes or rice. 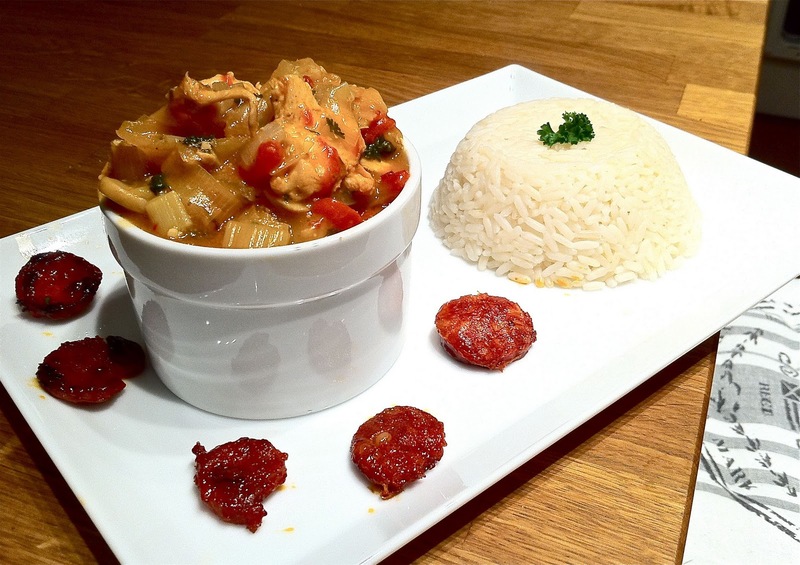 All credit goes to my good friend and fellow foodie Iain for this recipe. We had a great time round at his for dinner, and this starter went down so well that I've asked Iain permission to put the recipe on my website. I'm really glad he's allowed me to branch out and include a dish I would not have stumbled upon myself, as I'm still tip-toeing into the realms of seafood! 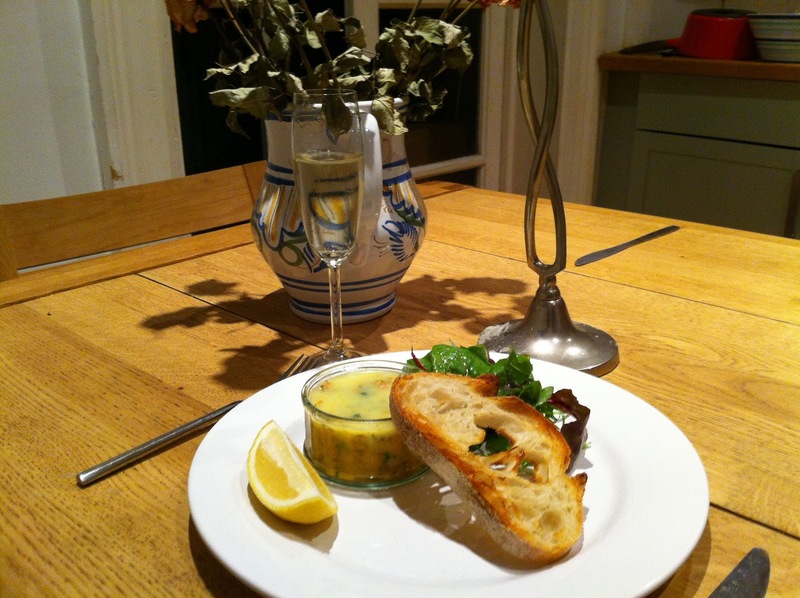 Top tip: Seal the potted shrimp with clarified butter to keep fresher for longer. 1. Melt the butter over a low heat and add the salt and peppers, Tabasco and Worcester sauce and zest of 1 lemon, and heat through for a few minutes. 2. Next add the shrimp and finely chopped parsley and chives. Squeeze in the juice of 1/2 a lemon. Stir over a low heat for 5 minutes. 3. Remove from the heat and place the mixture into ramekins. Push the mixture down so that the sauce just covers the meat. 4. 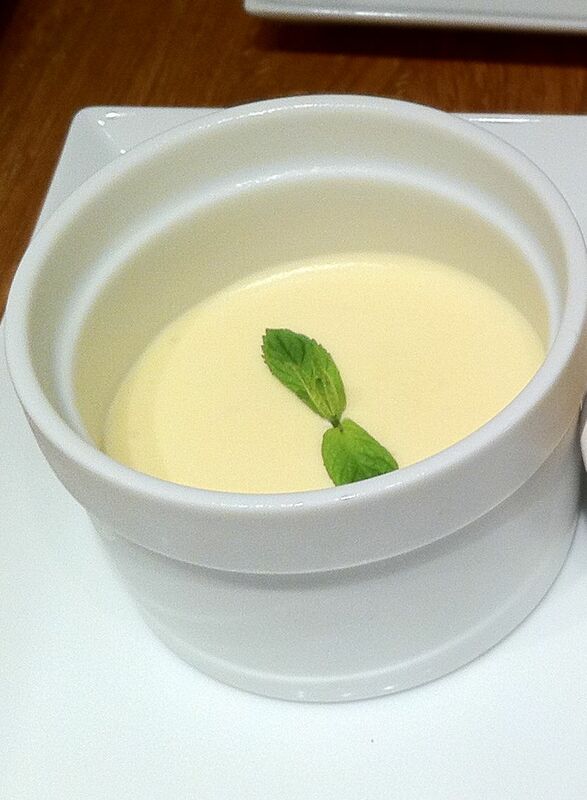 Make the clarified butter and cover each ramekin, and place in the fridge to chill until the butter has set. Serve with a wedge of lemon and a slice of toasted ciabatta. A good sorbet should be tarte, smooth and ice cold! With the citrus and sweetness of the passionfruit, this sorbet is one of my absolute favourites. A small scoop is all that's needed. Top tip: The wrinklier the skin of the passionfruit, the sweeter the fruit is inside. 1. Scoop out the edible fleshy part of the passionfruit and place in a bowl. Discard the skins (unless you want to serve the sorbet in the skins!). 2. Place the orange juice and caster sugar in a small pan. Heat until the sugar has dissolved and a syrup is formed. 3. Place the syrup and passionfruit into a food processor and whizz until smooth. Pass the mixture through a fine sieve, removing any seeds and lumps of flesh. 4. Beat the egg white until stiff, and fold into the passionfruit mixture. 6. Just before serving, lightly mash with a fork. 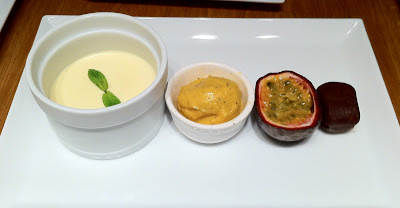 Serve in a ramekin, or in a passionfruit skin. This sorbet goes really well with my White Chocolate Mousse and a Gold & Chocolate Truffle. My favourite part of any dinner is usually the starter, therefore the idea of several small courses making up a 'taster menu' is right up my street. I recently had some friends over and thought I'd treat them to a five course taster menu, with this amuse-bouche as a refreshing palette-cleanser between bulkier courses. This dish is light and fresh, and the flavours are quite powerful, so perfect for an amuse-bouche sized serving - but you can always serve it as a bowl of winter-warming soup. Top tip: The idea behind this is to drink it, so when creating the consistency ensure you add enough water. 1. Finely chop the shallots, and sauté in the butter in a frying pan, and add the clove of garlic crushed. Chop the bacon rashers into small pieces and add to the pan, continuing to heat through until the bacon is cooked but not crispy. 2. Lower the heat. Sprinkle on the cinnamon and stir through. Then add the white wine and heat until reduced by a third. Crush in the oxo cube. 3. Place the cooked ingredients into a food processor, and mix until smooth. 4. Place back in the pan, and stir in the double cream over a low heat. 5. Add the egg yolk and beat in until mixed in thoroughly, also over a low heat. 6. Add water to the pan, always heating gently and stirring, until the desired drinking consistency is reached. Finally add in the finely chopped dill. 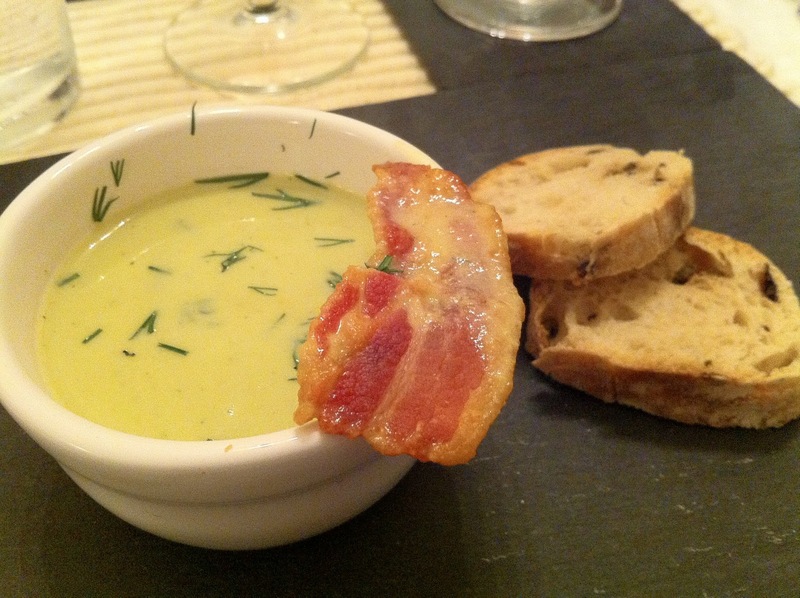 Serve warm, with a bacon crisp, a sprinkle of fresh dill on the top and toasted bread if you're hungry. I've been enjoying the current series of Masterchef, and this was one of the '10 minute dishes' that the contestants had to cook. I'd never tried making it before, but was inspired by the show - so here's my version of this classic dish. It's really quick to prepare and tastes simply divine, and surprisingly filling for quite a delicate dish. Top tip: You really can't get away with anything other than fillet steak for this dish! 1. Finely chop the gherkins, capers, and shallots. You can do this by hand, or in a food processor! 2. Next, finely dice the steak into roughly 1/2 cm pieces. 3. Chop the coriander by hand, and add all the chopped ingredients to a mixing bowl. 4. Mix in the sauces - tabasco, worcester sauce, soy, mayonnaise and ketchup. Season with salt and pepper to taste. 5. Boil a pan of salted water. Add in the white wine vinegar. Once fully boiling crack in the eggs and poach for 3 minutes. Remove immediately and cool in a bowl of iced water. 6. 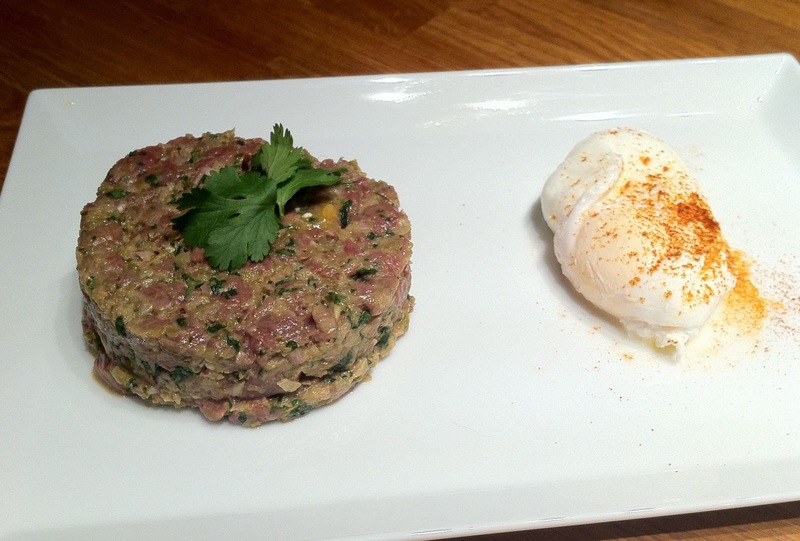 Whilst the eggs are poaching, form your tartare into two patties - you can do this by hand or use a burger press. Place a leaf of coriander on top. 7. Remove the eggs from the iced water, and carefully peel off any loose egg white strands. Place the eggs on your plate, and sprinkle with paprika. Serve cold with a slice of wholemeal toast. I really love plates of bright, colourful food. 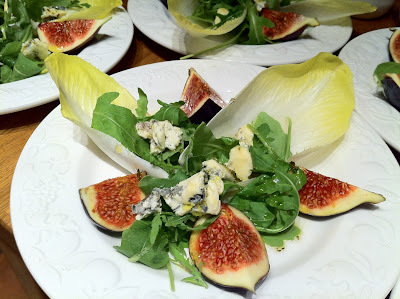 These red figs and green rocket make this such a pretty dish. The sweet fruit and honey contrasting with the salty blue cheese also makes this an elegant and balanced starter. What's more, there's no cooking involved! Top tip: I found a creamy blue cheese goes well with this, rather than a hard Stilton for example. 1. Place two chicory leaves on your plate, making sure to cut off the fibrous white ends. On top of these, place a small bed of washed rocket. 2. Slice the fig into quarters, and place around the plate. Crumble the blue cheese on top. 3. To make the dressing, strip the thyme leaves from their branches, and crush the leaves with a pinch a salt using a pestle and mortar. Mix in the honey, oil and vinegar. Stir well before drizzling over the salad. Serve with a glass of port.